Do you love eating, but hate the hassle of cooking? Does your active lifestyle make it difficult to prepare dinner? Rather than eating out at an expensive restaurant or purchasing the processed frozen dinners from the grocery store, there’s a fresh meal solution that is a delicious, healthy, and less costly alternative. It’s called Food Ease. Food Ease produces a variety of home cooked “take and bake” meals that are prepared fresh in the store. That’s right, there’s no preparation for cooking, which allows you to relax after a long day. You can select from a variety of scrumptious entrées, sides, appetizers, and desserts. Some of the most popular entrées include: Asian Flank Steak, Bruschetta Chicken Bake, and Pecan Crusted Tilapia. Like a restaurant, there are over twenty meals that are classic customer favorites that are always available for purchase as well as ten to twelve monthly specials. Whether you are single or have a large family, you can buy an appropriate portion of your meal. Single entrées serve one person, regular entrées serve three people, and large entrées serve six people. My fiancé and I often order the regular size and look forward to yummy leftovers for lunch. One thing to consider when you plan to bake more than one dish (e.g. vegetable side and entrée) is that the baking temperature for these items may vary. When I bought these, I was thinking of putting them in the oven at the same time, but realized that I had to bake them separately for this reason. If a regular entrée is frozen, it can take approximately forty-five minutes to bake. Given my level of hunger, I ended up only baking the entrée because I didn’t want to wait another forty-five minutes for the side dish to be ready. For those who are used to cooking, this wait time is normal, but as someone who has a big appetite and is used to eating frozen dinners that are quick to prepare (not the best habit), the long baking time is one downside. However, some meals take thirty minutes or less, which Food Ease refers to as “Quick Cook”. Nevertheless, the quality of the food is worth the wait. Even if it is not a quick cook meal, I’ve learned to be patient or eat a healthy snack. Are you a vegetarian or are you trying to watch your weight? There are a variety of selections for vegetarians and health-conscious consumers looking for healthy eating options that are clearly designated with labels in the store. In contrast to the frozen items in the grocery store, there are no preservatives added. Customers looking for low calorie, low sodium (under 500 mg), dairy free, wheat free, low fat, or healthy heart options will not be disappointed. I recommend the eggplant parmesan that is low calorie and tastes great! Nutritious substitutions such as whole-wheat pasta, brown rice, and low sodium soy sauce are available upon request. For those who are picky eaters, Food Ease can tailor a meal to your needs. No problem. If you don’t like mushrooms, then let a Food Ease representative know and they will make sure to give you the entrée you want without mushrooms. The sales representatives are friendly and happy to answer any of your questions. Just ask. Can’t make it to the store during business hours? Take advantage of the delivery service offered on Tuesday and Wednesday. Unfortunately, to use the delivery service you must stock up on meals because orders must be $75 or more. There is also a $10 charge for the delivery service. You must order online, but be sure to pay by phone to receive your package discount. Food Ease is a locally run business in Wilmington, Delaware, so if you do not live in a nearby Delaware or Pennsylvania area, then the commute/delivery service will not work for you. However, after reading this review, you may want to do some research to see if there is a similar business in your area that provides similar products to Food Ease. Pick Up Fine Food, or P.U.F.F., is another business similar to Food Ease in the Greenville Delaware area, though given the quality of the food and geographical convenience, I am a loyal Food Ease customer. Worried about your wallet? Meals are reasonably priced, ranging from $7 for a single entrée, $16, for a regular entrée, and $28 for a large entrée. It’s a good alternative to going out to a nice restaurant, which can be pricey. Food Ease also offers discounts, so be sure to ask about them when you order. 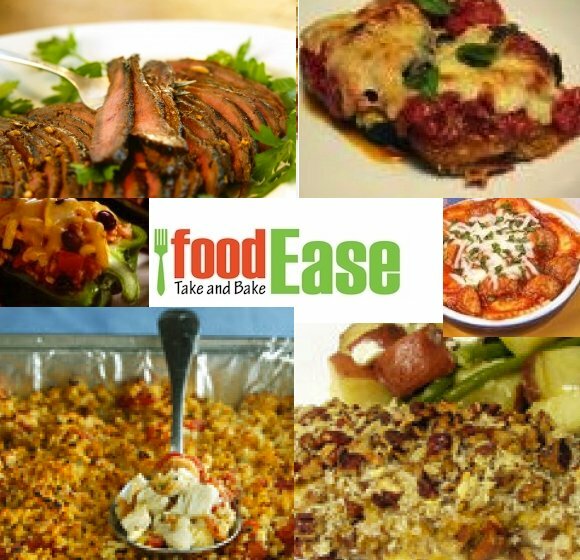 While the cost may be more expensive than a frozen dinner or fast-food restaurant, the quality of the food at Food Ease is worth it. I strongly disagree with your “Pros” on one item: High quality food. At best I find most items average, and many we’ve gotten border on inedible (e.g., the beef in the stroganoff it 50% gristle. The quality is low enough that I’ve told my wife to get only what she wants; I’ll get something else.